What happens when there are bananas on sale? I know your probably thinking, “they’re always the same price”. Not when they’re super ripe ( not over ripe) and bagged up by at least 12 pcs. per bag- sold for $0.99 per bag!! 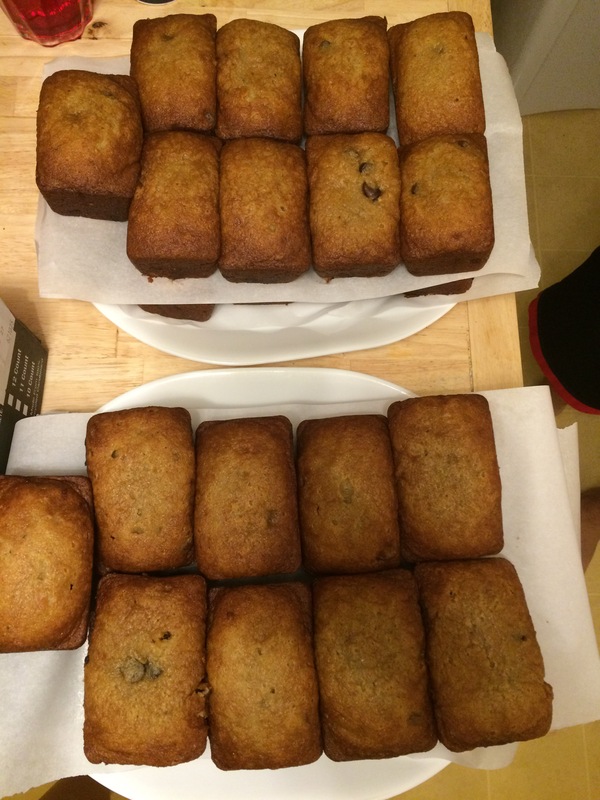 The result can be 36 mini banana chocolate chip bread loaves and one medi loaf!! 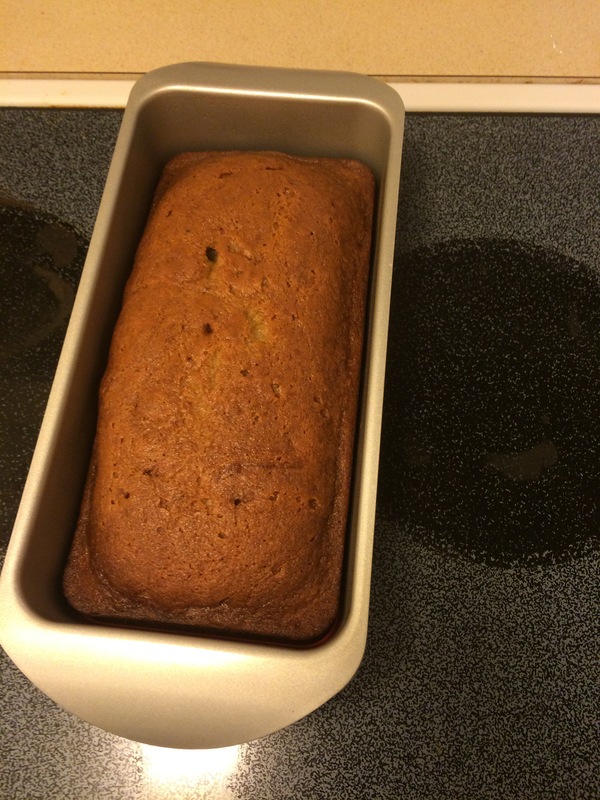 Good thing everyone here is in the mood for banana bread ! !